Menulog offers a wide range of products and services at incredibly low prices in Australia. These Menulog promo codes expire soon, so don’t forget to bookmark this page now. 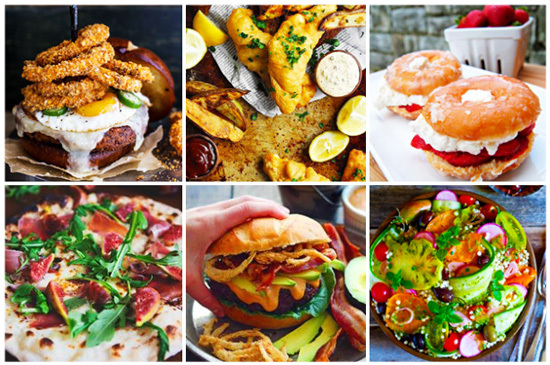 Menulog free delivery offer: Select from 9,000+ restaurants and get it delivered to your home for less. Menulog free delivery offer: Use Menulog mobile app to receive an exclusive discount on your food order. Seasonal Menulog deal & sale: Shop Spring Roll from Parklane Chinese Restaurant for just $5.50 at Menulog. New Menulog discount: Take advantage of this great offer from Menulog and order Tandoori Half Chicken from Sizzling Tandoor Indian Restaurant for $8.99. Exclusive Menulog voucher codes: Order regular size Ham & Pineapple pizza from Marcellina Munno Para for as low as $12.80. Limited time Menulog coupon: Order Butter Chicken from Little India Tandoori Restaurant for as low as $13.50. Limited time Menulog coupon: Buy dishes from Sherpaz Restaurant 6 times and get 7th time free using Menulog. Menulog is an Australian online takeaway company. The online company started out in 2006 and it has since grown to become the country’s largest online takeaway company. Menulog is based in Sydney, but it operates in a number of big cities in the country, including: Adelaide, Brisbane, Melbourne, and Perth. Overall, the website has well over 5,500 restaurants partnering with it across Australia. The online company operates by allowing customers to browse pre-selected restaurants and takeaway establishments based on their location and cuisine preferences. They can take place the delivery order through the platform and enjoy their food! In 2015, Menulog was bought by international online takeaway giant Just Eat. During it’s years in the business, Menulog has won a number of awards, such as the Deloitte Technology Fast 50 award in 2013. Menulog only operates in Australia, but its parent company Just Eat has online delivery websites in a number of other countries. As well as providing a selection of restaurants and takeaway options, Menulog also delivers alcohol. You can buy food & beverage online and the best thing is you can also save money on your order by using our discount coupons. Menulog actively promotes its most popular locations, the most sought after cuisines and the most ordered meals. The most popular meals in terms of order numbers include Margherita pizza, Pad Thai, green curry and Supreme pizza. As soon as you enter the website, you need to in for the suburb or postcode where you’d like the order to be delivered. After this, you are able to browse the restaurant based on a number of sub-categories. These include popularity, cuisine type and the price of the order. Information about the delivery can easily be found on the website under the FAQ-section. Order 7 times at Antonio’s Pizzeria, get 8th order free! 15% off on your first order with Indian Twist! Order 6 times at Sherpaz Restaurant, get 7th order free! Getting your favourite takeaway food online is very easy with Delivery Hero which has tie ups with thousands of restaurants and also provides easy payment options for user’s convenience. It’s also possible to make further savings at Menulog by using vouchers. Using vouchers on the site is easy. Just proceed with your order as usual and once you are done, head down to the checkout page. On that page, you’ll see a spot for entering the voucher code. Enter the code and click the button for the discount to be added to your order. The website offers plenty of customer support to guarantee your online order goes smoothly. You can find answers to common customer enquiries under the FAQ section and you can also contact the company by calling or emailing them in case you have any questions or problems with the delivery. Menulog regularly runs competitions where you can win amazing prizes. The competitions are announced on the company’s social media platforms, but you can also find them on the website under the Competitions-section. All terms and conditions for participation can be found on the site. 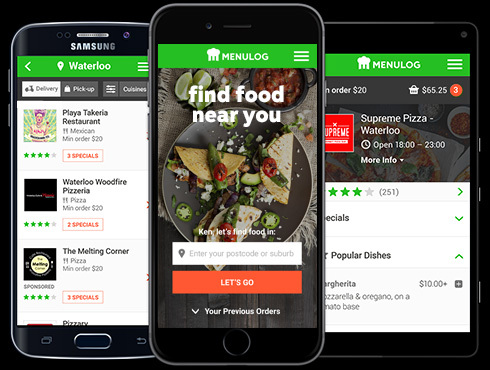 Orders at Menulog can also be made through its popular mobile app. The app can be downloaded from the website or from the following stores: App Store, Google Play and Windows Store. The app allows customers to make their takeaway orders in a similar fashion to the website. If you’d like to surprise your friends with a tasty gift, you can buy a Gift Voucher at Menulog. The voucher can be purchased from the Gift Voucher section and it will be sent via an email to your chosen friend. The gift vouchers sums are $10, $20, $30, $40 and $50 and they are valid for 12 months from the date of purchase. The company isn’t in charge of the deliveries, so the specific delivery times depend on the restaurant. The estimated delivery time will be mentioned to you before placing the order. It is also generally possible to choose a different delivery time, depending on the restaurant’s opening times. Furthermore, you’ll be notified as soon as the restaurant has delivered your order. It can be possible to cancel the order within a few minutes of replacing it by calling Menulog. If the restaurant cancels your order, you will be provided with a full refund. Depending on your payment method and the bank, the refund should be processed within 3 days.